Our ProWoTech clean room contains all the required equipment needed to repair aluminum. Aluminum dust is explosive when a spark occurs. Fire safety claims of some curtain manufactures may not meet new, tougher protection standards required by OEM aluminum repair certification programs. The built-in viewing window features TTV-red-RW visor lamination that meets the DIN EN 17700 standard for eye protection for workers outside of the aluminum bay. Our ProWoTech Body Repair Station is accepted by OEM certified collision repair facility programs like Mercedes-Benz, Audi, and Volkswagen. 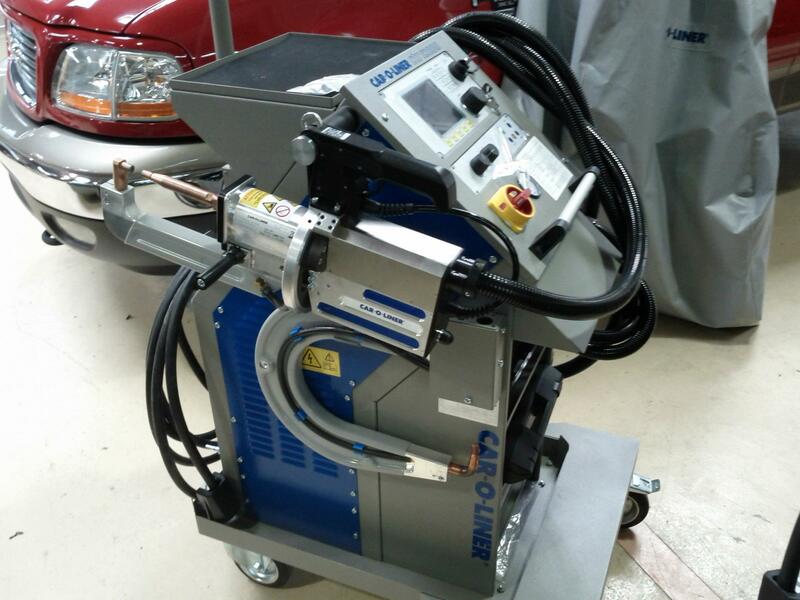 The gold standard of collision repair benches. The Cellette system is a required piece of equipment needed to repair most high end vehicles. The fixed mounting points on the body along with the use of a dedicated fixture bench and straightening brackets provide for an exact and proper placement of the body. This method is used to duplicate the precision necessary to ensure that the repaired body meets OEM specifications.